Immortelle is known for its anti-inflammatory, repairing, and pain relieving properties. Immortelle usually comes in oil form and is used in many infection healing formulas. It reduces inflammation and can aid in relieving muscle pain due to arthritis or physical activity. It is also widely known as a detoxifier used during withdrawal periods to relieve withdrawal symptoms. Jojoba is usually available in oil form and is often found in lotions. The chemical makeup of jojoba oil closely resembles that of our own skins lubricating system. This gives jojoba a natural advantage when it comes to skin lubrication and moisturizing. Jojoba oil is an excellent choice for those people with dry patchy skin and for those who have oily skin. jojoba is absorbed in the skin without leaving that greasy feeling that moisturizers can sometimes have and it does not clog pores. This allows for oxygen circulation and decreases the chance of breakouts. Kava can be used as a relaxant for nervous tension and stress. People throughout the world use kava for its ability to promote relaxation. It is often recommended for sleeping problems, nervousness, and mild anxiety. In recent clinical trials, those using kava reported positive results when using it as an anti-anxiety treatment. Due to its relaxing effects on the muscles, kava is an effective treatment of cramps, tight muscles, muscle pain, stomach aches, and tension headaches. Kava can be highly sedative and intoxicating,however; it is safe to use in small doses and in tea. Licorice is more than just a sweet candy; it is an important medical herb. Licorice contains anti-viral, anti-inflammatory, and immune boosting properties. Many herbalists choose licorice as a natural alternative to hydrocortisone. It is a natural fast acting anti-inflammatory agent. It decreases the production of free radicals that can cause inflammation. 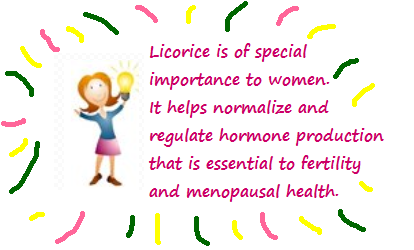 Licorice also supports the release of cortisol-a hormone produced by the body. Too much cortisol is caused by stress and has been known to cause inflammation and weight gain. Licorice is a great expectorant and is commonly found in coughs and bronchitis treatments. It also aids in the body's ability to deal with mucous-the yucky slimy substance that people often get during colds and flu. Licorice should be used in moderation. An overdose of this herb can elevate blood pressure and lower potassium, which can cause muscle and body cramps. When we see the word marshmallow, immediately our minds go to the fluffy, white, sugary snacks that we roast over camp fires. Although that is beneficial to out taste buds, it is not very beneficial to our health. The marshmallow I'm referring to has no relation to the sugary snack. However, it is related to the cotton plant and has some health benefits. The herb marshmallow root is a soothing and healing plant. Its gummy root has been used for years to sooth inflamed tissues and to relieve symptoms associated with some illnesses. Internally marshmallow eases coughs, sore throat, asthma, bronchitis, and other respiratory issues. It is sometimes added to cold and cough formulas to make them more effective. Externally, it is uses to treat skin irritations such as rashes, boils, and burns. Other popular uses for marshmallow root include treating urinary tract infections, stomach ulcers, colon problems, and fluid buildup. Marshmallow is generally safe in various doses, however; large doses can interfere with some medications. Milk thistle's primary function is to support liver health. It protects your liver and aids in helping it rebuild damaged cells. This plant has been used for years, but thanks to modern science, the benefits of milk thistle have been proven, making this herb one of the best kept herbal secrets. Milk Thistle repairs and treats chronic liver problems. It is a highly recommended herb to those suffering from liver conditions such as hepatitis and alcoholism because it can help repair and stimulate growth of new liver cells, particularly in cases of alcohol abuse. 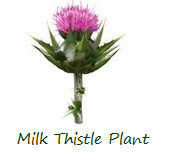 Milk thistle is recommended to those who smoke, drink alcohol or take pharmaceutical drugs. It is also good to use after exposure to toxic chemicals. This herb can be added to tea, however; it is most commonly used in capsule and extract form. Mullein has a winning soothing and antibacterial combination. It is mostly used in cases of colds, coughs, bronchitis, and asthma to strengthen and treat the respiratory tract. Mullein is also widely used as an ear infection treatment. Herbal practitioners will infuse mullein leaves in oil to make drops for earaches. So if you are person who suffers from frequent earaches, but do not want to continue using pharmaceutical drugs, this may be an option for you.